The Nigerian Law School has recorded an unprecedented 161 First Class graduates, as it called 4,779 candidates to the Bar yesterday. 113 of the 161 First Class graduates are females and 48 are males. Its Director General, Prof. Isa Hayatu Chiroma (SAN) gave the figure at the ceremony at the International Conference Centre Abuja. He said 5,846 students participated in the August/ September 2018 Bar final examinations. 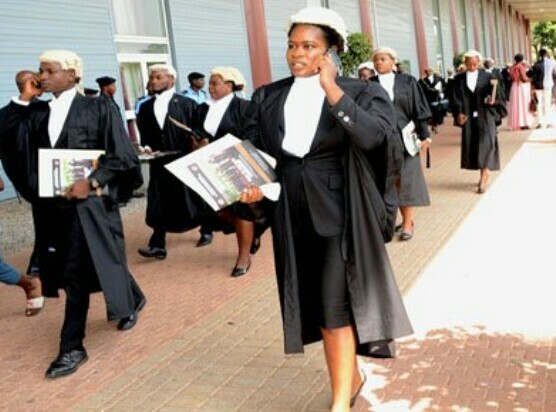 The director general stressed that of the 4,779 new wigs, who were successful at the final examinations as well as 11 candidates from the previous Bar final examinations, 161 wigs graduated with First Class honours. “Six hundred and ninety four new wigs graduated with second class upper. One thousand two hundred and seventy five new wigs graduated with second class lower and 2,649 finished with a pass,” Chiroma said. On his part, Chairman Body of Benchers Alhaji Bashir Dalhatu said it was the first time in the country’s history that 161 students graduated with First Class honours. He hailed the Body of Benchers for leaving no stone unturned towards ensuring that the legal profession in Nigeria keeps thriving every year. Dalhatu said: “I commend the Nigerian Law School and Council of Legal Education for training the new wigs both in character and learning and impacting the desired knowledge and skills that has helped in shaping the new wigs.